What a fantastic ascent! In the last seven kilometers, from Clavan-le-Haut, there are stunning views, the road is narrow and steep and there is practically no traffic. This is a magnificent ride, ending in the heart of the Écrins. 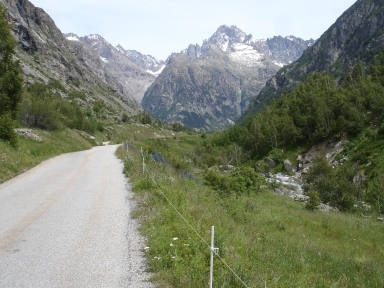 The road runs entirely through the valley of le Vénéon, which is well filled with water that has the green-white color typical of meltwater, at least during dry conditions. All around are rugged snow-capped peaks. 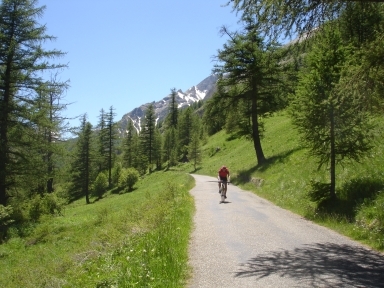 This col is utterly suitable for race bikers: nature is splendid and varied and there is not much motorised traffic on the generally narrow road. 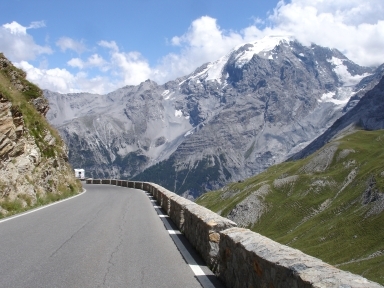 For me the east side of the Passo dello Stelvio is the world champion of all passes. Fantastic! 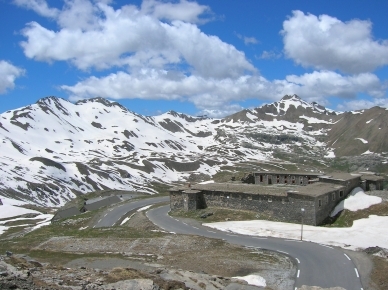 The highest mountain pass in Italy! It is characterized by a large number of elevation meters (1849), by as many as 48, often very tight hairpin bends and by the glorious views of the snow and ice-covered peaks of the Ortler Alps. The old stone walls along the street fit well with this classic pass. 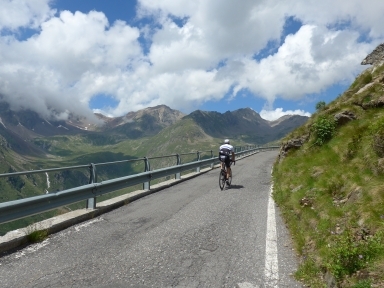 The southern ascent to the Gavia is one of the most beautiful climbs in the Alps due to the magnificent surroundings of mountains and forest but certainly also due to the road, which is, in the last ten kilometers, so narrow that oncoming cars cannot pass each other in many places. 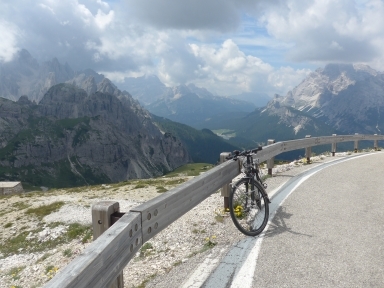 ﻿﻿﻿For me the Passo Sella forms the most beautiful point of the Sellaronda. 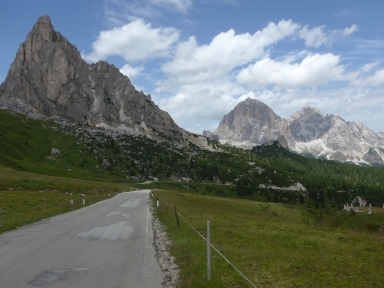 The views of the nearby Langkofel, the nearby Sellamassif and the distant Marmolada are breathtaking. 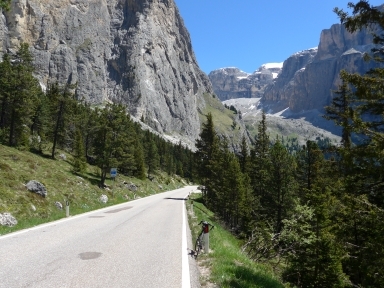 When I climbed to the Col de Tentes, I experienced the first few kilometers after Gavarnie as the nicest part of the tour. The surroundings consist of mighty, steep mountain faces. ﻿﻿This is one my preferred climbs in the Vosges. It offers both interesting scenic and hard parts and it is variable. 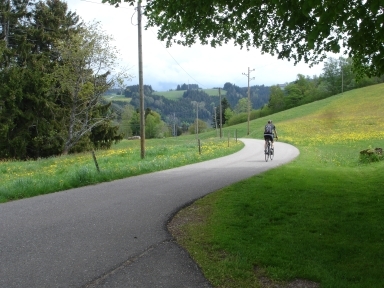 ﻿The following 5 kilometers are the most scenic. 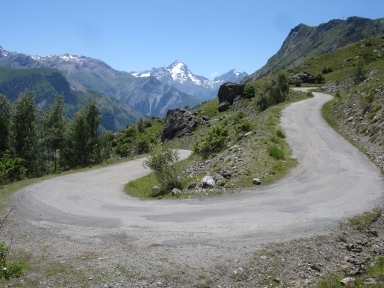 A narrow, steep (7-9%) and quiet road winds itself up through the forests. Shallow stone walls delimit the road on the valley side and if you are lucky goat herds block your way. 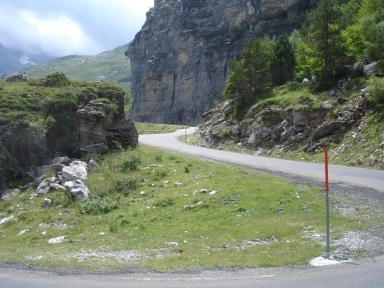 ﻿This is a scenic and varied climb via a narrow, almost perfect tarmac road with very little traffic. Much better does not exist. ... magnificent panoramic views and a landscape of fields, forests and farms.